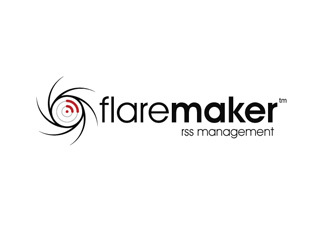 Flaremaker was commissioned by a Canadian-based technology solutions company looking to expand into the rapidly growing RSS (Really Simple Syndication) space. 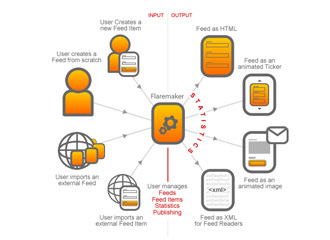 Create an online RSS, Atom and RDF feed creation and management tool as well as a brochureware website describing the product and associated services. The sites should both encourage visitors to sign up to the subscription-driven service. 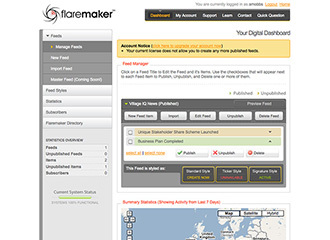 Flaremaker was built as a bespoke solution with it's own back office control system (BOCS). Standards compliance was paramount in the microformat implementation of RSS, Atom and RDF and Web 2.0 design technologies were used throughout. For this project we built an easy to use, do-it-yourself feed creation tool and an enterprise level subscription management service that interfaced primarily to PayPal for international currency reasons. Note: The ongoing development and maintenance of this website has been moved to Canada for logistical reasons. An updated site and portfolio! Copyright © 2006-2018 by (!) The Hatchery. All rights reserved.